Last evening (19 January) two participants in the October 2008 Synod of Bishops spoke about the importance and value of knowing Christ personally and intimately. Christ is not an abstraction nor is Christianity an ethic. Merely knowing about Jesus is moralistic and inconsistent with the true experience of Christinity which says that Jesus Christ is the true, personal foundation of life and that He answers the need of heart. Father Julián Carrón, President of the Fraternity of Communion & Liberation and Mr. Carl Anderson, Supreme Knight of the Knights of Columbus addressed a crowd of more than 200 people, including the Most Reverend Peter A. Rosazza, an auxiliary bishop of Hartford and Vicar for New Haven, CT. The evening was moderated by Dominican Father Peter John Cameron, Editor-in-Chief of Magnificat magazine. The discussion was built on the theme “The Word’s Face: The Word of God in the Life and Mission of Every Believer.” Saint Mary’s Church Hall (New Haven, CT) was the venue of the evening. This was the same hall that the Venerable Servant of God Michael J. McGivney founded the Knights of Columbus in 1882. The discussion emphasized that Christians are not a people of the Book, as is commonly but wrongly asserted, but a people who follow a person, the definitive revelation of God, Jesus Christ. Moreover, it was emphasized that Catholics know Christ through sacred Scripture and Tradition. Anderson made a point in saying that he had heard a story of someone facing imprisonment who given a choice in taking one book with him and he selected the missal. The reasoning was the missal had both Scripture and the Liturgy. Both Anderson and Carrón dealt with various aspects of Dei Verbum, the revolutionary document on Divine Revelation from the Second Vatican Council. 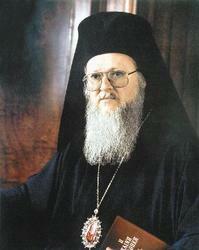 Anderson made a point that the Church is missionary in sharing the faith with others and noted that Pope Paul VI, Pope John Paul II and Pope Benedict XVI have made the effective preaching of Jesus Christ a particularly important aim of the entire Church, each according to his or her place in the Body of Christ. 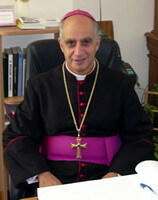 Father Julián Carrón was an Ordinary member of the Synod meaning that he was a full and voting participant in the Synod as the bishops who are appointed to the gathering. 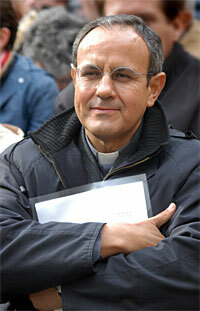 Father Carrón’s Synodal intervention can be read here. Mr. Anderson was an auditor at the Synod meaning that he was a partial participant at the Synod but less important as his role was to listen to the work of the Synodal Fathers, to meet experts and those participating in the Synod and to make brief intervention before the full body of the Synod. 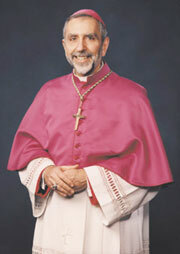 Both have participated in previous Synods of Bishops. Father Carrón and Mr. Anderson answered questions fielded from the audience and afterwards met with anyone who presented themselves. Father Carrón met very briefly with members of the local members of the Communion & Liberation. The event was an experience of Christ among us. The evening was sponsored by Communion & Liberation of Connecticut, the Supreme Council of the Knights of Columbus and Saint Mary’s Church & Priory. A brief article and video of the panel discussion can be found here. God on Sunday, 26 October 2008, Rome. The Word of the Lord, which echoed in the Gospel earlier, reminded us that all of Divine Law is summarized in love. Matthew the Evangelist tells that the Pharisees, after God answered the Sadduceans closing their mouths, met to put Him to test (cf. 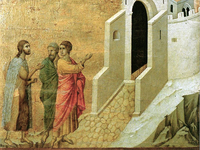 22:34-35). One of them, a doctor of law, asked Him: “Master, which is the greatest commandment of the Law?” (22:36). The question allows one to see the worry, present in ancient Hebrew tradition, of finding a unifying principle for the various formulations of the Will of God. This was not an easy question, considering that in the Law of Moses, 613 precepts and prohibitions are contemplated. How to find which is the most important one among these? But Jesus has no hesitation, and answers promptly: “You must love the Lord your God with all your heart, with all your soul, and with all your mind. This is the greatest and the first commandment” (22:37-38). Jesus quotes the Shemà in His answer, the prayer the pious Israelite recites several times a day, especially in the morning and in the evening (cf. Dt 6:4-9; 11:13-21; Nb 15:37-41): the proclamation of whole and total love due to God, as the only Lord. Emphasis is put on the totality of this dedication to God, listing the three faculties that define man in his deep psychological structures: heart, soul and mind. The word mind, diánoia, contains the rational element. God is not only the object of love, commitment, will and feelings, but also the intellect, which should not be excluded from this. Our thinking must conform to God’s thinking. Then, however, Jesus adds something which, in truth, had not been asked by the doctor of law: “The second resembles it: You must love your neighbour as yourself” (22:39). The surprising aspect of Jesus’ answer consists in the fact that He establishes a similarity between the first and the second commandments, defined this time with a Biblical formula drawn from the Levitic code of holiness (cf. Lv 19:18) as well. And therefore, the two commandments are associated in the role of main axis upon which all of Biblical Revelation rests: “On these two commandments hang the whole Law, and the Prophets too” (22:40). The Evangelical page we are focusing on sheds light on the meaning of being disciples of Christ which is practicing His teachings, that can be summarized in the first and greatest commandment of Divine Law, the commandment of love. Even the First Reading, taken from the Book of Exodus, insists on the duty of love; a love witnessed concretely in relationships between persons: they must be relationships of respect, collaboration, generous help. The next to be loved is the stranger, the orphan, the widow and the indigent, that is to say those citizens that are without a “defender”. The holy author goes into details, as in the case of the object pawned by one of these poor persons (cf. Ex 22:25-26). In this case, God Himself is the guarantor for the person’s situation. In the Second Reading, we can find a concrete application of the supreme commandment of love in one of the first Christian communities. 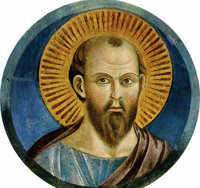 Saint Paul writes to the Thessalonians, leading them to understand that, while having known them for such a short time, he appreciated them and bore affection in his heart for them. Because of this, he points to them as “an example to all believers in Macedonia and Achaia” (1 Th 1:6-7). There is no lack of weaknesses or problems in this recently founded community, but love overcomes all, renews all, wins over all: the love of who, knowing their own limits, docilely follows the words of Christ, the Divine Teacher, transmitted through one of His faithful disciples. “You took us and the Lord as your model, welcoming the word with the joy of the Holy Spirit in spite of great hardship”, the Apostle wrote. He continued: “since it was from you that the word of the Lord rang out — and not only throughout Macedonia and Achaia, for your faith in God has spread everywhere” (1 Th 1:6.8). 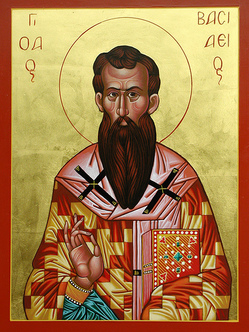 The lesson that we can draw from the experience of the Thessalonians, and experience that is a common factor in every authentic Christian community, is that love for the neighbor is born from the docile listening to the Divine Word and accepts also hardships for the truth of the divine word and thus true love grows and truth shines. It is so important to listen to the Word and incarnate it in personal and community existence! In this Eucharistic Celebration, which closes the work of the Synod, we feel, in a particular way, the bond that exists between the loving hearing of the word of God and disinterested service towards the brothers. How many times, in the past few days, have we heard about experiences and reflections that underline the need emerging today for a more intimate hearing of God, of a truer knowledge of His Word of Salvation; of a more sincere sharing of faith which is constantly nourished at the table of the Divine Word! Dear and Venerable Brothers, thank you for the contribution each of you offered in discussing the theme of the Synod: “The Word of God in the Life and the Mission of the Church”. I greet you all with great affection. A special greeting goes to the Cardinals, the Delegate Presidents of the Synod and the General Secretary, whom I thank for their constant dedication. I greet you, dear brothers and sisters, who came from every continent bringing your enriching experience. In returning home, give everyone an affectionate greeting from the Bishop of Rome. I greet the Fraternal Delegates, the Experts, the Auditors and the Invited Guests: the members of the General Secretariat of the Synod, all those who worked with the press. A special thought goes for the Bishops of Continental China, who could not be represented during this Synodal assembly. I would like to speak on behalf of them and thank God for their love for Christ, their communion with the universal Church and their faithfulness to the Successor of the Apostle Peter. They are present in our prayers, along with all the faithful who are entrusted to their pastoral care. We ask the “Chief Shepherd” (1 Pt 5:4) to give them apostolic joy, strength, and zeal to guide, with wisdom and far-sightedness, the Catholic community of China so dear to all of us. All of us who have taken part in the work of the Synod will carry with us the renewed knowledge that the Church’s principal task, at the start of this new millennium, is above all to nourish ourselves on the Word of God, in order to make more effective new evangelization, the announcement of our times. 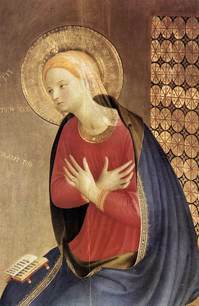 What is needed now is that this ecclesial experience reach every community; we have to understand the necessity of translating the Word we have heard into gestures of love, because this is the only way to make the Gospel announcement credible, despite the human weaknesses that mark individuals. What this requires first of all is a more intimate knowledge of Christ and an ever-more docile acceptance of his Word. In this Pauline year, making the words of the Apostle our own: “I should be in trouble if I failed to [preach the Gospel]” (1 Cor 9:16), I hope with all my heart that in every community this yearning of Paul’s will be felt with ever more conviction as a vocation in the service of the Gospel for the world. At the start of the Synod, I recalled the appeal of Jesus: “The harvest is rich” (Mt 9:37), an appeal we must never tire of responding to whatever difficulties we might encounter. So many people are searching for, sometimes unwittingly, the meeting with Christ and His Gospel; so many have to find in Him a meaning for their lives. Giving clear and shared testimony to a life according to the Word of God, witnessed by Jesus, therefore becomes an indispensable criterion to verify the mission of Christ. The Readings the liturgy offers us today to meditate on remind us that the fullness of the law, as of all the Divine Scriptures, is love. Therefore anyone who believes they have understood the Scriptures, or at least a part of them, without undertaking to build, by means of their intelligence, the twofold love of God and neighbor, demonstrates that in reality they are still a long way from having grasped its deeper meaning. But how should we put into practice this commandment, how can we live the love of God and our brothers without a living and intense contact with the Holy Scriptures? Vatican Council II asserts it is necessary that “easy access to Sacred Scripture should be provided for all the Christian faithful” (Cost. Dei Verbum, 22), so that persons, on meeting the truth, may grow in authentic love. This is a requisite that today is indispensable for evangelization. And since often the encounter with Scriptures is in danger of not being “a fact” of the Church, but informed by subjectivity and arbitrariness, a robust and credible pastoral promotion of the knowledge of Holy Scripture, to announce, celebrate and live the Word in the Christian community, becomes indispensable, dialoguing with the cultures of our time, placing ourselves at the service of truth and not of current ideologies, and increasing the dialogue God wishes to have with all men (cf ibid 21). With this in mind, special care should be paid to the preparation of pastors, ready then to take whatever action is necessary to spread Biblical activity with appropriate means. Ongoing efforts to give life to the Biblical movement among lay people should be encouraged, along with the formation of group animators, with particular attention being paid to the young. We must also support the effort to allow faith to be known through the Word of God to those who are “far away” as well and especially those who are sincerely looking to give a meaning to their lives. Many other reflections should be added, but I will limit myself to underlining that the privileged place where the Word of God rings out, that builds the Church, as has been said many times during the Synod, is undoubtedly the liturgy. In this is where it appears that the Bible is a book of a people and for a people; an inheritance, a testament handed over to readers so that they can put into practice in their own lives the history of salvation witnessed in the text. There is therefore a reciprocal relationship of vital belonging between the people and the Book: the Bible remains a living Book with the people which is its subject which reads it; the people cannot exist without the Book, because it is in it that they find their reason for living, their vocation and their identity. This mutual belonging between people and Holy Scripture is celebrated in every liturgical ceremony, which, thanks to the Holy Spirit, listens to Christ since it is He who speaks when the Scripture is read in the Church and welcomes the Covenant that God renews with his people. Scripture and liturgy converge, therefore, with the single aim of bringing the people to dialogue with the Lord and to the obedience of the Lord’s Will. The Word that leaves the mouth of God, witnessed in the Scriptures, returns to Him in the shape of prayerful response, of a living answer, of an answer of love (cf Is 55:10-11). Dear brothers and sisters, let us pray that from this renewed listening to the Word of God, guided by the action of the Holy Spirit, an authentic renewal of the universal Church may spring forth, as well as of every Christian community. We entrust the fruits of this Synodal Assembly to the motherly intercession of the Virgin Mary. I also entrust to Her the II Special Assembly of the Synod for Africa, that will take place in Rome in October of next year. Next March I intend to go to Cameroon to deliver the Instrumentum laboris of that Synodal Assembly to the representatives of the Episcopal Conferences of Africa. From there, God willing, I will go on to Angola to celebrate solemnly the 500th anniversary of the evangelization of that country. 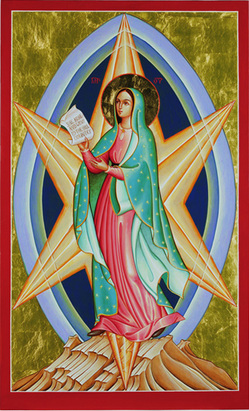 Most Holy Mary, who offered your life up as the “servant of the Lord”, so that everything would happen in accordance with the divine will (cf Lk 1:38) and who told us to do whatever Jesus tells us to do (cf Jn 2:5), teach us to recognize in our lives the primacy of the Word that alone can grant us salvation. Amen! It is noted that among Catholics who are unfamiliar with the Old Testament and because of some embarrassment and resistance faced by passages understood with difficulty, these being the controversial questions of divine and human violence, the amorality of certain Biblical figures and a theology which is insufficient concerning the afterworld. Therefore, an adequate Biblical formation should be offered to the faithful, which would help understanding the Old Testament texts in their historical and literary context, but also and especially can facilitate Christian reading as the main hermeneutic key, since these texts acquire and show their full meaning in the New Testament.(cf. DV 16)We propose to move from a “Biblical pastoral” to a Biblical animation of all pastoral actions, that is to say, to place the Word of God as the “rock” that is the foundation, as the living source and as the inspiring breath of all of the life and of all the mission of the Church.(cf. DV 21.24) Between the diverse forms of announcing and transmitting the Word of God particular importance must be given to kerygma. The task to announce Christ is the responsibility of each baptized person. In addition to the homily, to the actual preaching of the liturgical celebrations, it is necessary to recall the value of the preaching by all Christians in light of Baptism and of Confirmation. Regarding the celebrations of the Word, many ecclesial communities, particularly those in the urban outskirts and in the rural areas, without Sunday Eucharistic celebrations, find the nourishment for their faith and to give a Christian witness, in the celebration of the Word of God. In the formation of candidates to priesthood, the Word of God is essential to form the heart of a good pastor, future minister of the Word. As pertains to the consecrated life, the academic Institutions of Sacred Scriptures, especially those in Rome and in Jerusalem, should be thanked for the great contribution they have made to the formation of exegetes and Biblicists, also the institutions of consecrated life should continue contributing to the study of the Holy Scripture, through these and other institutions, committed to spreading the knowledge of the Bible. Giving worth and careful attention in a particular way to the contemplative life is also indispensable. (cf. 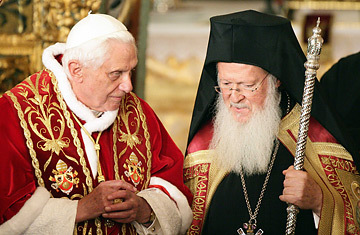 Benedict XVI, Angelus Address 18 November 2007). In contemplative life, the Word is welcomed, prayed and celebrated. We feel a deep concern because of the influence of sects and new religious groups on the Catholic faithful, which sometimes bring them to even abandon the Church. This phenomenon harms our way of living the faith inside the Church and must be perceived as a call to witness it, so that the new life that Christ has brought us may shine on the face of our communities. Greater studies on the sects and the new examples of this phenomenon would be of great help, to face them suitably. In relationships with Islam and in dialogue with its representatives, its concept of the socio-political and judicial order -not always duly differentiated from religious order- should be kept in mind and its concept of marriage and the family where the role and the rights of the women are not dealt with as is foreseen in the doctrine of fundamental human rights and of the family institution and as defined by the Universal Declaration of Human Rights. We have reflected, in a special way on the first four questions raised by the Relatio post disceptationem and arrived at formulating indications for a number of Propositiones which I will sum up as follows. 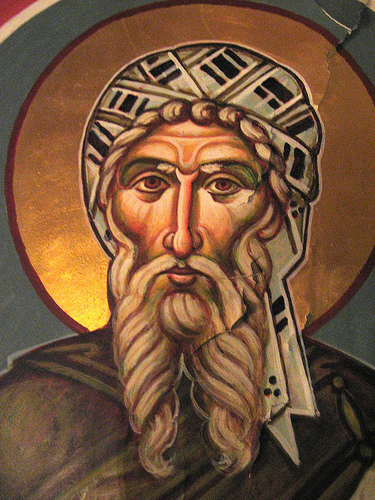 It is necessary to clarify the sense of the dialogic dimension of Revelation, since the term refers to different dimensions such as “inter-religious dialogue”, “ecumenical dialogue”, “dialogue with cultures” … When it is referring to Revelation, it takes on a meaning all of its own: this involves the primacy of the action of God who in freedom comes towards man; this implies that there can never be a parity between the two subjects. It is vital for the expression Word of God be made unambiguous. This is not easy, but it is necessary. One of the most important considerations of the Synod shows that the Word of God cannot only be identified with the Bible. The Word of God is Christ, the Word of the Father. 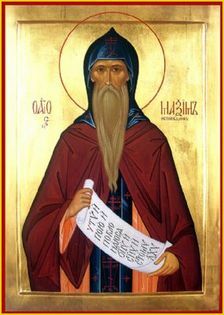 His preaching, like his acts, have been given to the Church which remains the primary subject that under the action of the Holy Spirit transmits Christ uninterruptedly as the announcement of salvation (DV). The announcement of the Word of God is the first duty of the Church. An explicit announcement, always and everywhere, that is accompanied by a coherent testimony of living that renders evident the content and reinforces it. 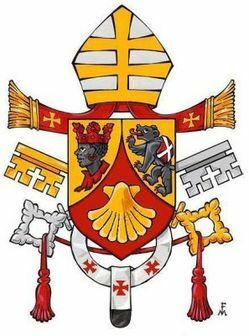 What Dei Verbum affirms for the revelation that takes place gestis verbisque intrinsice inter se connexis (DV 2), by analogy is applied to the Church that carries out its evangelizing mission with the announcement of Christ and the testimony of a coherent lifestyle. It was felt necessary to observe that in a generalized context of secularization – that goes way beyond the Western countries –particular attention be paid, above all, to creating forms of listening so that whoever places themselves in front of the Sacred Scripture knows they are in front of God who is speaking. This demands, furthermore, a formation that allows the discovery of how the reading of the Word converts the heart, opens up to penance and sets out on a path of new life. In this context, the importance of a permanent education is underlined, above all of catechists, that allows the overcoming of the major obstacle of a lack of knowledge of the basic contents of faith, which should cause great alarm to our pastoral action. The liturgy remains as the privileged place in which the Word of God expresses itself fully. It is necessary to overcome the gap between Bible and Liturgy, Word and Sacrament. This happens to the extent to which it reinforces the idea that the Word of God is Christ Himself in His differentiated presence in the life of His Church; above all in the real presence of the Eucharistic sacrifice; also when the sacraments are celebrated; therefore, when “the Sacred Scriptures are read in the Church, God himself speaks present in his own word” (SC 7). What has to grow, therefore, is the knowledge of a profound unity that reaches its high point in the Holy Eucharist. The different ways in which Lectio Divina is celebrated pose the question of whether we shouldn’t clarify, above all, what is really meant by this action, so as not to leave the wealth of the tradition of the Church Fathers and Medieval teachers in the dark. The growing value that is placed on the Lectio forces us to remember that this is not the only way to meet the Word of God. The group suggested that the tone of the exhortation should be hope filled, needs to energize the Church around the Word of God and should be pastoral and missionary. The group identified critical areas about which propositions should be developed. A wide range of areas surfaced. First the need to give greater recognition to lay catechists, Catholic School teachers, youth ministers, and lay biblical animators. They need to be better formed and prepared. Second, the need to understand what is attracting people to the Sects and learn from them. Third, [to work on] how preaching might be improved and made more vibrant. Fourth, the need to emphasize and highlight the contemplative dimension. Fifth, [there needs to be a way of] finding structures to bring together exegetes, liturgists, theologians, and bishops. Sixth, the need to give greater emphasis to consecrated life, pneumatology, healing and the Sacrament of Penance, and the use of media. There was a mixed reaction to a compendium on preaching. We need to do something but group did not agree that this would be helpful. Suggestion was made for a compendium on helping people read the Word of God. There was not a strong feeling that there needs to be a revision of the Lectionary. While some Old Testament texts are difficult, they should not be dropped. Perhaps alternatives could be available. There was concern that the question about the relation between exegetes and theologians implies a rift between them. Rather we should encourage cooperation. Scholars should have an opportunity to work in pastoral settings.